The Nevada Tribute to Fallen Law Enforcement Officers on the Capitol Quadrangle is one of the monuments the Girl and I visit nearly every day. There are often flowers left to remember the sacrifice of those fallen. 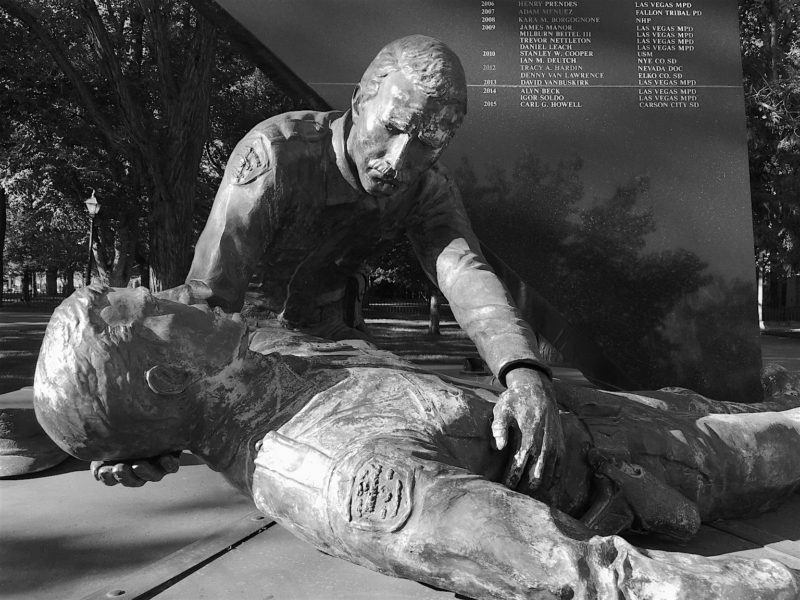 The other evening, the Girl and I walked past the Nevada Tribute to Fallen LEOs on the Capitol Quadrangle. I always feel a sense of loss when I stop and reflect on the selflessness of many of our law enforcement officers. I sometimes interact with law enforcement on the grounds, when opportunity presents itself. These monuments are important. I am glad they are there.